Social Media is expanding and so is our desire to know more about it. The Social Media Conference serves the purpose as there all the experts meet on the same platform and discuss over several upcoming projects and changes that will improve the way we conceive the social media. There is no better way of getting all valuable knowledge under one roof other than these conferences. People all across the globe are present there sharing their thoughts and the way the people of their country is using the social media platform. Whether it is alright to let the trend carry on or is it time to put an end to the trend that has been followed over the years are all discussed so that people are aware of what is happening around them. Social media platform is a huge platform, where people cannot claim to know it all because it is impossible for anyone to have a complete idea about this social media networking. Even the experts think that they are also lost in the middle of nowhere when it comes to social media. You can use it in so many ways and it will surprise you every time by coming up with some major changes. Earlier there were some top social media sites that were mainly used to keep in touch with friends and families but now it is one of the internet marketing platforms. Businesses are also taking advantage of these sites to make their presence felt online. Therefore, you can guess very well that the platform has been evolving in many ways and if you want to be a part of that then you need to attend these social media conferences. They will give you an insight on how things work online on these platforms. Before you go to any conference you can have a look at the speakers who are going to attend the conference. It will help you in selecting which one will be the most useful one. This conference will be held in July for 2 days that is July 17 and July 18 in Orlando, Florida. It cost anything between $597 and $1,097. You can use BUFFER as the promo code and avail 10% discount. Here the speakers will be Jay Baer, who is the author of Youtility. Apart from him you will get to listen to expert comments of Sarah Evans, who is a digital strategist. Other names are not confirmed yet, therefore the names are not made public. The Social Fresh Conference is the organizer of this conference and they are trying to make the most of the resources that they have got. This conference is touted to be best for people who are focused mainly on networking or is eager to interact with the speakers face to face. This way you will be able to enrich yourself with the knowledge of the social media platform which is huge. They are said to concentrate more on the quality rather than quantity so you will get one speaker who will be doing all the talking on the tactics that you need to acquire or their success story. You will get networking time, snacks time and also brainstorming event is included, so that a complete package can be provided for people who participate in this conference. This is the 5th time this annual corporate media summit is taking place and here you will find all the senior people meet. It will be held in New York during June 16 and 17th of this year. Useful Social Media is the organizer of this Summit and it has been providing insights to the social media platforms. It is one of the largest social media summit that you will see happening and you will find some of the most senior people meeting there in order to discuss some of the most important topics regarding this platform. Even the marketing executives are part of this Summit to provide their valuable inputs. They all come together to provide you with an insight to help you grow your business with the help of social media networking and how you can use it to your advantage. If you are present in any of these social networking sites, then you are actually gaining competitive advantage over others. When you will listen to speakers like Dow Jones along with Paula Keve who is the Company Chief Communications Officer you will know that it really makes sense to be up there in these platforms. Some other speakers who will be enforcing this idea are Chief Customer Officer of MetLife- Claire M. Burns and Bev Thorne, who is the Chief Marketing Officer of Century 21. If you have established yourself here then attending this summit will help you enhance your knowledge of the social media site even better. This one is organized by Moz and will give you an insight about how forward thinking will help you being the leader of the social media. In order to participate in this social media conference which costs anything between $799 and $1299! It will be held in Seattle, Washington for three days from July 14 to July 16 of this year. Here the speakers will be Moz’s Rand Fishkin and Nathalie Nahai, the author of The Web Psychologist and SEER Interactive’s Wil Reynolds. All these speakers will discuss about content marketing, brand development and many other topics. There will be other speakers too, who will enlighten you with their knowledge on how social media platforms can be used for various purposes including community building. Search Engine Optimization is one of the major concerns of social media platform and online business, therefore everybody wants to know more and more about the topic. The algorithms keep changing ,therefore everybody who is there online makes an effort to keep themselves updated with the changes, but the experts are the best people out there who will be able to give you the right insight of these things. Marketers of social media who also look into SEO, analytics and various other things related to Social media will be benefited through this as they will get to know more details about how you can take your decision correctly based on data. 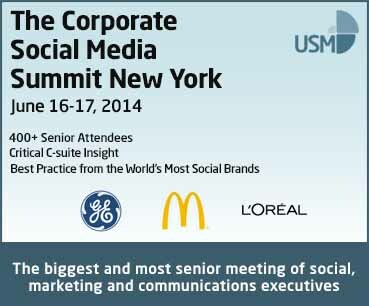 This social media conference will be held in New York for two days commencing on May 20 of this year. The advertising trends and practices will be discussed here. The speakers of this event include some of the big names from the world of advertising and social media platform. They will be coming up with the unknown social media facts about how you can connect with your customers using this social media platform. Once you attend these kinds of conferences, then it gives you enough material to write for your blogs as well and in this way even your users will be benefited from these inputs. Online marketing will be discussed along with the latest social media trend, so that the participants get themselves updated with all the relevant information about the field. People who participate in this digital conference will have the scope to interact with some eminent professionals from the social media. Even the brand marketers along with the agency representatives will make their presence felt amongst various others. They will be sharing their thoughts with the people out there in the discussion about picking the right social monitoring service in order to get your business right on track. Earlier this social media conference has witnessed some of the biggest names in the industry and they include names like Bank of America, PepsiCo, Disney, Starcom Mediavest, Guinness World Record, etc. This time the social media conference will be held in Atlanta, Georgia during September 16 and 17. It is a celebration of people connecting with their customers using various new methods of social media. The social media is used to connect with people within the enterprise as well. Therefore to connect with employees and managers along with the leaders within the enterprise social media can play a perfect platform. This is the event where things will really get shaken up because here traditional formats will give way to modern trends and new form of online business will take place. If you are part of any online business then this bit of information will be helpful for you as you will be able to take your business through this transformation as well. You can join in the community of managers and creatives along with executives and content marketers who will help you in getting into the trend of social enterprise, which is the next big thing in the offering from social media. Though the speakers are not announced yet, but it is known that some well-known speakers will be part of this social media conference. As a social media enthusiast, you can be part of this Social Shake Up and enlighten yourself with various unknown facets of the social media platform which will help you in your business as well. Big names like Facebook, Kraft Foods, Microsoft, SAP, Coca-Cola Brazil will be part of this 4 day social media conference, which will be held in Cleveland, Ohio during September 8 to September 11. Content Marketing Institute has organized this amazing social media conference where people can participate in this affair which cost around $495 to $2395. In this meet the people who will be benefitted the most are the social media managers who focus mainly on content marketing. There are various aspects of online business and content marketing is one of them. 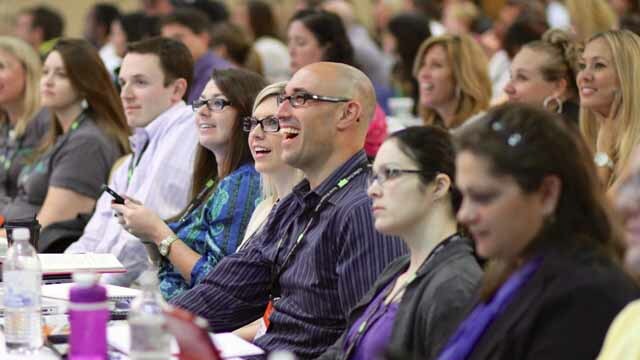 So Content Marketing World is one of those events where your entire query related to content marketing will be answered. You will be able to learn more about new ways of incorporating social media ideas into your business to help your business grow well ahead of your competitors. If there is a team of experts working for you in your business, then all the inputs that you get from here will be highly beneficial for your team and they will be able to act accordingly. So that your business is benefiting the most while your audience grows in leaps and bounds. Inspiring audience is the key that you have to master in order to get your business work effectively. The social media conference that is due on September 15 will continue till September 18 and will be held in Boston, MA. You will be able to take part in this social media conference, which costs $749 to anything up to $1499. The conference that will be held here will have some of the best speakers from top companies. Last year they have included big honchos like author Seth Godin, Scott Harrison, who is the CEO and also the founder of Charity: water, founder of FiveThirtyEight.com along with some other giants like Arianna Huffington, the well -known President and editor in chief of the Huffington Post. They all came here to discuss the various sites of social media and in the same way this year some of the best names will appear on the list of speakers. They are yet to finalize the name of the speakers and once they do that it will be announced soon. This year they will be discussing on marketing professionals which will include hints of sale professionals as well. This is one of the best business events that take place and it inspires you to grow bigger and better. Not only that, they educate you with ways of growing bigger effortlessly as they discuss some scenarios from real life to make the participants understand what it takes to bring in the transformation of their business, so that they can be at par with the purchasing behaviors of the consumers. It is said that it will be help in Iowa, but the specific location is yet to be announced. So as of now the location is unknown, but the date has been finalized as September 25th through September 26th. This year’s cost is still unknown because nothing has been finalized as of yet. Last year the speakers of the event were Jay Baer, author Gini Dietrich and Lee Odden of Top Rank. These speakers graced the occasion last year, so everybody is waiting with bated breath to see who will be present this time around. It is amongst the top 10 social media conference and involves topics which build in connection between social media platform and digital marketing. Digital marketing is speeding up the race and it is taking up the top spot in case of marketing because everybody is out there online using the internet for various purposes. You will always find a certain amount of users always live on several social media site doing something or the other. These experts will discuss on the ways how you can tap in the potential of these customers and help your business grow. After all it is all about business doing well, so in order to make that happen, you have to be part of the interactive session that will be held during this period in the conference. You will get a chance to interact with the experts and listen to what they have to say about different digital marketing options and its advantages. This will be held during the end of this year around November 19 and November 20. These 2 day conference will be held in Las Vegas, Nevada, where experts from all parts will gather together to discuss topics based on social media. There are various aspects of the social media sites, therefore if you want to explore all you have to take the help of some experts and what better way than attending a conference. Here you will be able to talk to some of the best names in the industry, which will help you to get some good organic traffic for your site. If you want to know more about how to manage paid campaigns that you can be a part of this social media conference, so that you can get an insight of the matter and it will also be helpful for others when you will share these useful inputs from the conference. The social media marketers who look after the traffics that the business is receiving can be a part of this social media conference and enrich their knowledge base accordingly. Till date the speakers of this event has not been mentioned, but if you want to get an idea about who all participates in this big event, then you can go through the list of last year’s speakers which includes the likes of Jennifer Lopez the Moz Director of Community, Audie Chamberlin who is the Realtor.com Director of Social Media Marketing along with Travis Bernard who is the AOL Audience Development Manager. This social media conference will be organized by Search engine Land and Marketing Land which are the two leading sites of marketing. You can be part of this social media conference, which costs something over $1500 with some additional add-ons. This event will be held in Orlando, Florida during October 27 through October 29 of this year. Socialmedia.org will be organizing this amazing social media platform. Social media manager of the big brands will be the perfect choice of people for this event. They can attend this social media conference to enrich themselves with the input from various speakers who are on top of their game. So when they will be speaking, they know exactly what they are going to blurt out. It will emphasize more on the core skills that you will require in order to become successful social media executives. Nowadays social media platform is one of the major contributors to the growth of any kind of business, therefore the executives who have been managing this whole thing needs to keep themselves updated with the latest change in trends, so that they can provide the business with the best and improve the way the business is running. This social media conference will have around 16 discussions that will be held in the peer group and then 12 classes will be arranged on providing you with the right amount of information about How to do various stuffs long with 12 case studies which will be for real and no such fictitious scenario will be discussed. Last year with some big names like Best Buy and USAA were part of the discussions, so let’s hope that this year also people will have the chance to interact with some bigger and better names from the market. When you are attending any social media conference, then you are exposed to some of the big names in the industry and they will teach you how to do things on your own and improve your condition in the market. If you are in the growing phase, then they will help you to get things done swiftly, so that you can speed up the growth process. Some of the big names in the industry come together on a platform and discuss various topics on social media, so that people understand their proper usage and get benefited from the experience. Social media industry is a huge where change is inevitable and if you want to grow with your business, then you will have to be flexible enough to incorporate those changes. Social media is a great way of helping your business grow by making you appear in front of innumerous customers who are waiting to explore various new ways. Social media has various aspects one of which includes the content marketing, which the business can take advantage to grow bigger and better. Your consumers are out there and how you will connect with them is what these kinds of social media conferences let you know.